Looking at the life and work of Else Marie Pade, the picture that emerges is one of a resilient woman with a distinct appetite for rule breaking. A woman who created her own alternate paths, fearlessly crafting her own game by necessity. Not only did Else Marie Pade foray into the, at the time, particularly masculine field of contemporary composition, she ventured into the uncharted territory of experimental electronic music, where through a persistent solitary quest, her sonic universe came to expression. 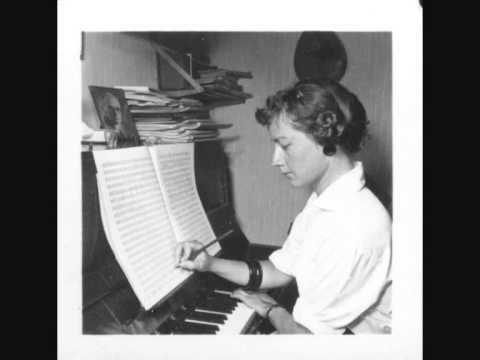 Born in 1924, Else Marie Pade was the first person in Denmark, and among the first people in the world, to compose concrete and electronic music. During her childhood she was often ill and had to entertain herself by reading fairytales and by listening to radio plays. It was during these long-term illnesses that her imagination was sparked and she became finely attuned to an expansive spectrum of sound. Her own private, separate universe of sound. 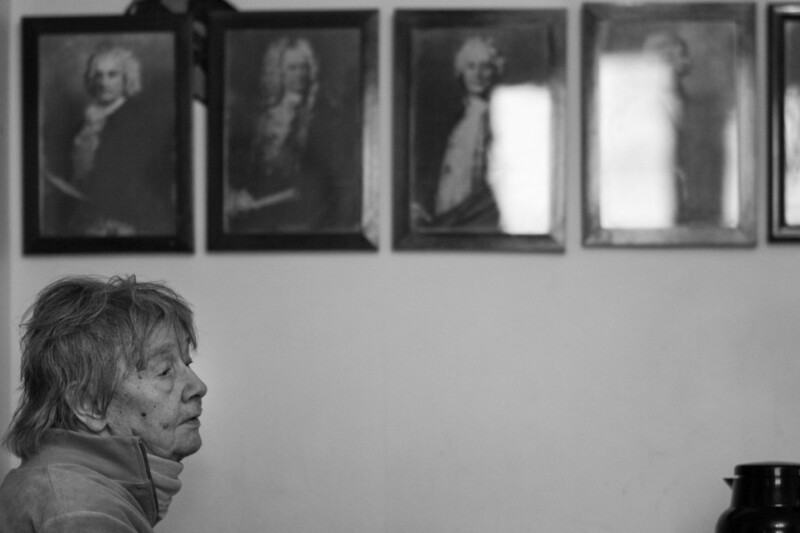 As a teenager she joined Denmark’s only resistance group that was composed exclusively of women, and in 1944 was eventually captured by the Gestapo who subjected her to brutal interrogation before sending her to a prison camp. There she met her future husband, Henning Pade, but they were only able to communicate with each other by throwing crumpled pieces of paper with declarations of love through the barbed wire. It was also during her time in the prison camp that she pledged to herself that if she would ever get out alive she would devote her life to music. After the war she moved to Copenhagen, where she, to her parents’ great dismay, was admitted to the Royal Academy of Music. She and Henning Pade married in secret, as it was not considered appropriate for female students at the academy to be married. They had two sons, but life as a housewife did not fit Else Marie Pade’s temperament. She was easily distracted, absent-minded and completely engrossed in her music. The ordinary pursuits that contemporary women at the time were expected to live up to were of no interest to her whatsoever. 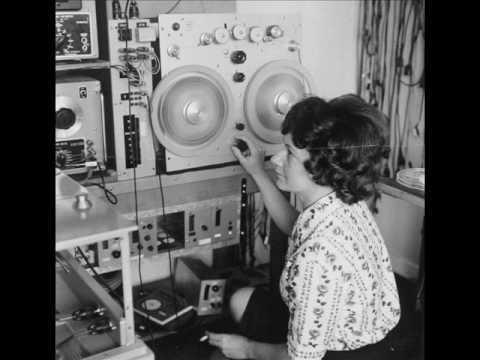 In 1952 Pade had a life changing moment when she heard a radio broadcast of the music of French composer Pierre Schaeffer, the inventor of Musique Concrète (Concrete music) – a musical form that consists entirely of sounds from the concrete world. Pierre Schaeffer’s philosophy was that everything is music, or has the potential to be music, in the right hands. This was completely in line with Else Marie Pade’s own ideas, dating back to her childhood. She immediately travelled to Paris with the sole purpose of studying with Pierre Schaeffer. Shortly after meeting Schaeffer she started working on her first real musical work, and in 1954 ‘A Day at the Deer Park’ would become the first piece of concrete music written in Denmark. For the major part of her professional life she was attached to the Danish Radio as a producer and used the radio studios for her own projects during her spare time, in collaboration with a small group of trusted technicians and sound engineers. 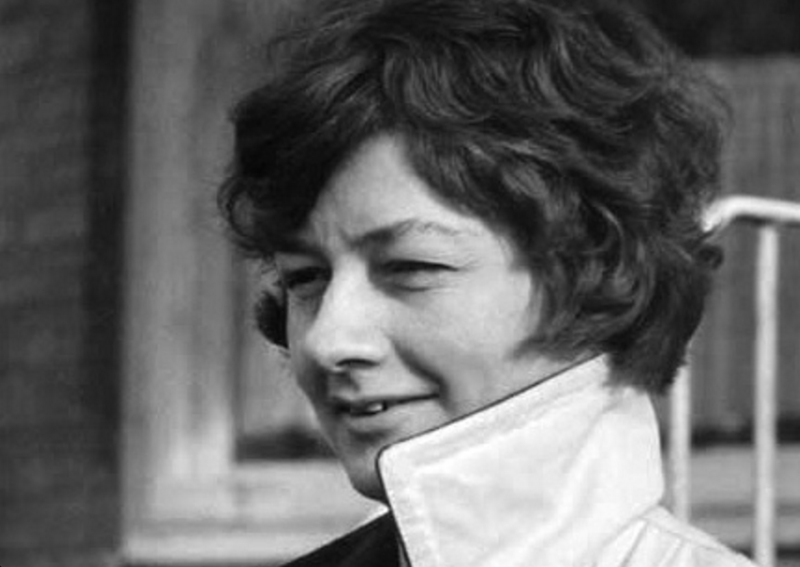 Else Marie Pade soon fully embraced electronic music and was fascinated by the work of the German Karlheinz Stockhausen, with whom she became good friends. 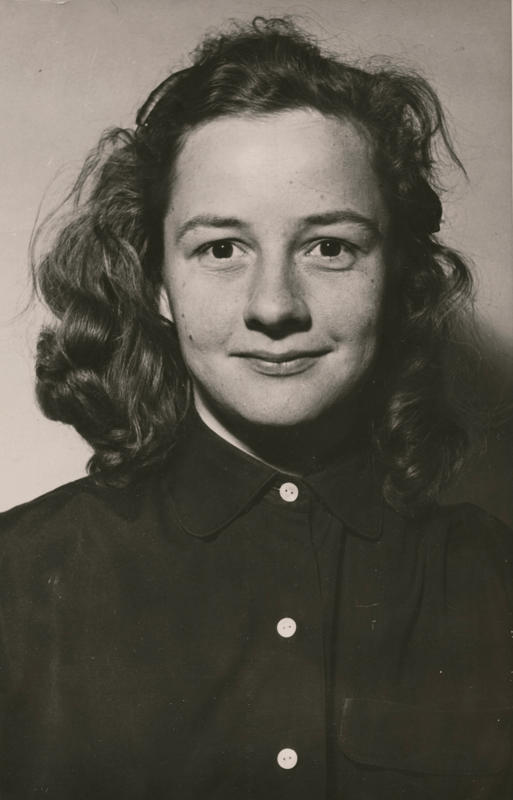 She frequently attended the legendary summer courses in Darmstadt where she found likeminded colleagues that were as passionate abut new discoveries and experimentation as her, something she would not experience in Denmark for a very long time. 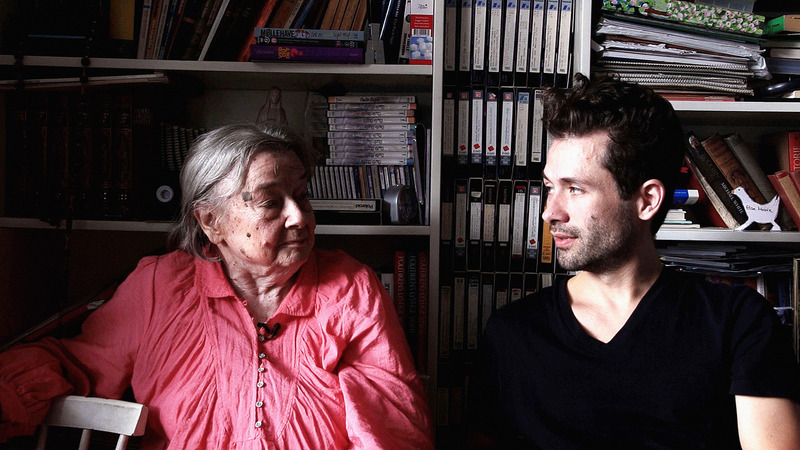 Despite the fact that Else Marie Pade’s work received recognition and exposure when it first emerged, especially abroad, her pioneering work with electronic music slowly swept into oblivion. However with the emergence of computer generated music, the advancement of technology in the last 20 years and the birth of the flourishing Danish sound art and electronic music scene, Pade’s early efforts and works have been rediscovered by the younger generations of electronica, composers, sound artists, musicians, DJ’s and audiences. JK: Good day, it’s been a long time. EMP: I’m very well, how about you? JK: I’m also doing very well. EMP: That’s good to hear. JK: What have you been up to? EMP: I don’t get up to much these days. JK: Ok, (smiles) that can also be good sometimes. EMP: Yes, I needed a little break, so I just took it! EMP: Yes! How about you? JK: It was a nice time. EMP: Well that just sounds wonderful! JK: Yes it was. I’m not sure if you remember, but you were also invited to come over to New York. JK: To present your work at Issue Project Room with the Ultima Oslo Festival. EMP: You did? ah that was really nice of you! JK: People really loved it. JK: Can you also remember that I was for a long time working on preparing the release of a new album with your electronic works on vinyl? JK: Now its almost ready, it really takes a long time to make a vinyl album. EMP: Ah I’m so happy to hear that, that is so nice of you. JK: It’s good to hear that you are happy! I really wanted to do this for you. JK: The album is being released in America… and the rest of the world. People are talking about it a lot– also in Copenhagen – and they look forward to hearing the album! EMP: Really, I’m so glad to hear that! Especially because I haven’t been doing any music for months now. JK: No exactly… and that is maybe something you want to do again soon!? EMP: Not right now, things are also fine without it. JK: I understand. Sometimes it’s also good to not be creating anything. EMP: Yes, I need a little break in between. JK: Yes precisely. I also think this album will be really good, since it only focuses on your electronic works. JK: I got him to write a text about you for the album cover. I think he did it really nicely. EMP: Ah, I really like him! JK: Such a nice guy…! We hope the album will be out before you turn 90. JK: I mean, isn’t it on December 2nd? JK: Well you are born in 1924 right? JK: And now it’s 2014? EMP: Which means I will be…? JK: When the album comes out, we want to have a little party on December 2nd, where you can get a glass of, what’s it called again… Campari? JK: And then you get the new album with all your electronic works on your 90th birthday, as sort of a birthday present! EMP: That sounds just lovely, if you have the time! JK: Else Marie, they want to do a feature with you for a new Nordic Internet platform so it would be nice if we just talked a bit about your work, since we always have such nice conversations. JK: So what inspired you do become a composer and to start working with sound in the way you did? EMP: Well, it was the thing itself, in it’s essence. To search for a way to express the spiritual. JK: How did you experience the spiritual in relation to sound? EMP: Well, for me the music has its own spirit, an independent voice. At the core of everything. And you know something funny, just the other day I read a review of a work by some young composer, and it said that nowadays it is a prerequisite among the younger generation that there is spirit in the works. I though that was really funny, that it is now in fashion. A really good idea I think! JK: Was there a specific moment in your youth that set you off on this sound journey? JK: I agree , I can relate to that. EMP: Yes, but if you write down or draw the different emotional connotations you want to express, then it becomes a whole different thing. JK: You mean that if you have the intention and then describe something just with sound, without words, it gains in spirituality and therefore becomes more appealing to you? EMP: Yes, absolutely and this I think is a very exciting sphere to move in. JK: Ah, now that I can really relate to! EMP: Yes, you of all people should. JK: Yes, we always had a lot in common along this line of thought. EMP: Yes we are on the same wavelength. JK: So, when you are talking about “the spiritual” and also another concept you have often referred to, “your inner sound universe”, why did you choose to work with concrete music and electronic music as a medium to communicate this? EMP: For me it was to a high degree because of the possibilities of manipulating the different timbres (sound colours) to match exactly what I was hearing myself, inside my head. Even just the way you add echo or any other special effects to a sound, renders it with a character that is so distinctly different from acoustic orchestral music. 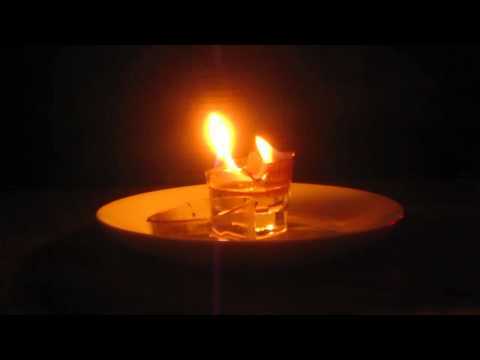 This electric artificial sound appeals to me. JK: What do you feel you can accomplish with concrete music and electronic music that you can’t with acoustic instrumental music? EMP: The microscopical precision for one thing. The possibility to achieve the exact pitches you want to manipulate, so that they match fully with your own perception of pitch. The sounds that I’m looking for can have an airy character, but still be very concrete. Things I definitely don’t wish to hear in my music are things that sound clumsy in some way or that are nailed down in certain movements or repetitions. I think I found some good solutions to avoid these things. JK: Where did the ideas for your pieces come from? EMP: I would look for the right material. For instance with Goethe’s ‘Faust’, that was a material that I just threw myself over with great passion, there was something spiritual in the material that I could really dig my teeth into. Quite simply because it is such a mentally charged material. I have made a lot of that type of music. JK: Yes, when I listen to your work ‘Faust’, it is very spiritual and soaring, it really carries me away to a different dimension, to a place I have never been before. EMP: Ah, I am so happy to hear that! I was in fact using the electronic material to recount the narrative. I was very particular about finding the right sounds and timbres to express certain emotions in the most truthful way. I wanted to tenderly create the feeling that was soaring in a big vacuum. JK: Like we can see in your graphic score for ‘Faust’, it is very beautiful. Did you follow a specific system when drawing it out? JK: I couldn’t agree more, this talk about composers who have the music ready inside their head before they write it down, I can’t relate to that at all. For me, same as with you, composing is to embark on a journey with an unknown destination. Allowing yourself to be inspired by the material along the way. You sit down. You hear some electronic sounds and you let them carry you to a place beyond your wildest dreams. EMP: And that is when you get the impression that the music is communicating with YOU. JK: Exactly, because you allow the music to unfold and take on a life of it’s own… People are interested in knowing what kind of person you are. How would you describe yourself? EMP: Very perceptive and receptive for influence. EMP: Very sensitive to sound, yes. And then when I have set my mind to something, I have an urge to express what I’m sensing. So I just search for ways to express it – according to how I feel. Because, It doesn’t make sense for me to stay silent and keep it inside. Making music, working with sound is a bit like working on a riddle, one that I haven’t found the answer to yet. The transcendental spiritual aspect has always been very important to me and I found that this new way of making music provided me with a sort of language where I could bring this spiritual search to expression. JK: But how was it when you discovered what Schaeffer and Stockhausen were working on and travelled to study in Paris and Darmstadt? EMP: Ah yes, they were my nominal anchors! And I felt they received me with such heartfelt warmth. JK: Being practically the only woman, did you feel support from the men who were working on electronic music in Paris and Darmstadt? EMP: Yes, they gave me full support, without compromise. But that was how they were with everything they did. They were totally engrossed in their music and work. They were pursuing results in very narrow areas that they had set their minds to. And they took their time, sometimes pursuing one idea for many years. They were very interested in all new developments and ideas that were happening in music all around. JK: Do you remember a couple of years ago when you and I were together on stage playing our collaborative work Svævninger for a large audience at the Radio house in Copenhagen? EMP: Of course I do! JK: Things have changed a lot since back in the days when your works were presented and played on the radio, and today we also perform electronic works in concert in front of a live audience. How was that experience for you? Sitting in front of a large audience? EMP: For me it was a lovely experience! JK: You also got to hear your works being played in a large space and so loud that the base frequencies made the entire building rumble. EMP: That didn’t feel strange in any way! JK: I remember you were hesitant about it and maybe you were a little bit nervous about all of a sudden appearing in front of such a large audience? EMP: Well, I can be a little shy sometimes, just not without reason. JK: I’m very happy you were there, and that you trusted in me enough. It was so great that people were able to honour you and your work. Do you remember that there was a standing ovation? EMP: I do remember that – it made me very happy! I certainly hope people noticed that? JK: And tears in the right eye are tristesse? EMP: Sorrow. To think that you remembered that! EMP: Ah what exciting spheres we have circulating in our heads. JK: Are you interested in the electronic music being made by the younger generations today? EMP: Well I haven’t really had the chance to establish a relationship to it on a deep level. EMP: Can you recommend something? JK: Absolutely. I will make some CDs and bring next time we see each other. EMP: Ah that would be delightful! JK: The woman who asked me to talk to you for the Internet feature wanted to ask you about your special artistic collaboration with Jacob Kirkegaard? (laughs) Well, that’s me… what was it like to work with me? EMP: Well, that was excellent. What do you think yourself? JK: I think it has been fantastic to meet a person, where there is such a huge age difference, but still such a strong spiritual connection and common perception of sound. It’s like we are listening for the same tings in the sound. EMP: Yes that is exactly how I feel, like it was something completely natural. I remember thinking “what a strange thing”, and was so happy when I discovered how right it was. Our collaboration has been a great gift. So thank you for that! JK: Thank you too! How do you like being referred to as a pioneer? JK: You never think about the fact that you were the first person to create electronic music in Denmark? EMP: No, I haven’t thought about that at all. ALBUM: Electronic Works 1958-1995 – Released 2014. Else Marie Pade’s Electronic Works 1958-1995 is a three LP set of Pade’s most important compositions which was restored, mastered and cut at Dubplates & Mastering in 2014 in Berlin under the watchful ears of Jacob Kirkegaard. These monumental works are presented, for the first time, pressed on audiophile grade heavy duty vinyl in an edition of 500 copies. “I proceed to move into the void. It is dark and its endlessness creates a claustrophobic tension and I realize that it’s very similar to experiences achieved by astro- and cosmonauts traveling in outer space. The abyss of supposed dark matter where no one can hear you cry. And there … and over there … and there : stars that shine, several …. hundreds … millions of stars that keep you company in your solitary confinement. In this obscurity there are stars too, uncountable glimmering golden gems just waiting to be relieved from the firm grip of the mountain. They’re not immediately visible but with just a brush of the hand, a thrust by the axe or a blast by a few kilos of dynamite they come forth. Unlike the celestial stars, these all have names very clearly written on their shiny surfaces. I am inside one of many important gold mines in the world. A place where a lot of golden nuggets have already been found and where some are still buried inside the hard rock walls that run for at least a few miles into the mountain – a mountain named History of Recorded Composed Music…. Pre-order the album from IMPORTANT Records here. 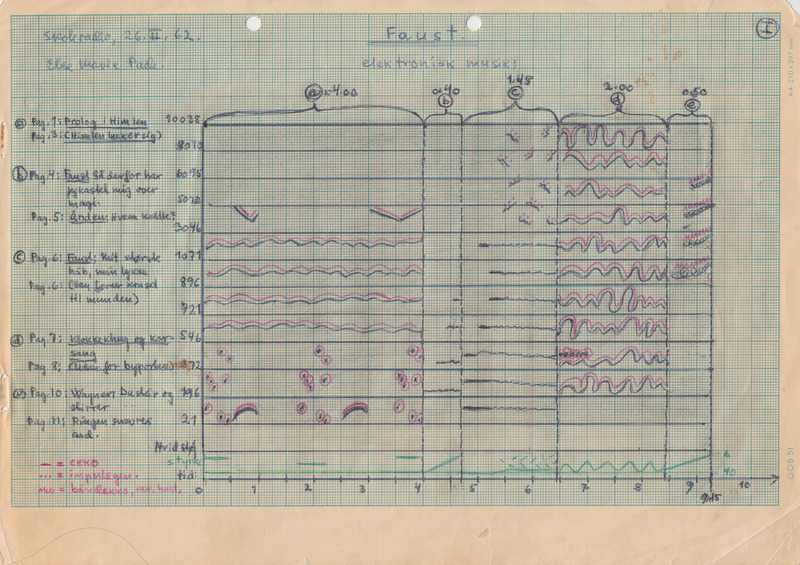 Click here to see part of the original, hand-drawn ‘Faust’ score. 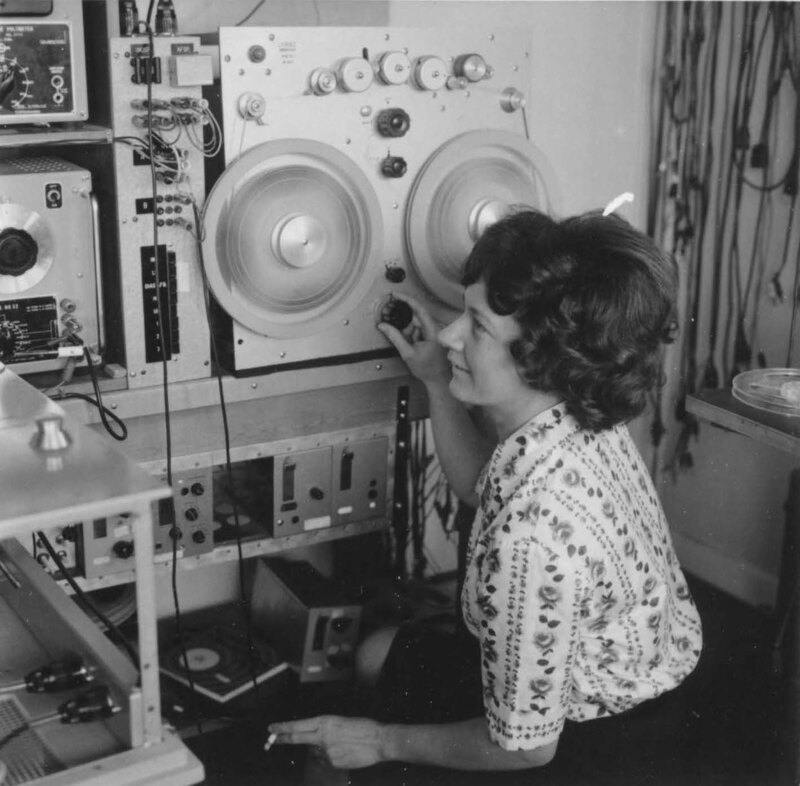 In 1952, when Else Marie Pade began working with concrete music based on real sounds as raw material, she could experiment with different forms to draw out a sonic narrative that both had a musical foundation and yet was anchored in the ‘concrete’ reality of everyday environmental sounds. 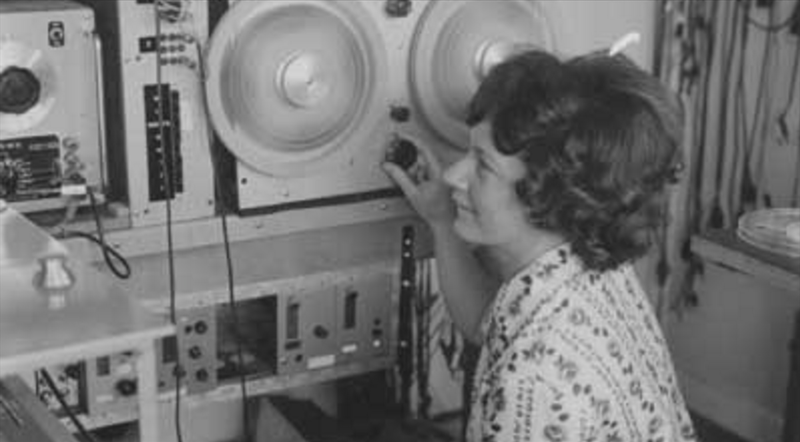 She would compose in a way where the raw musical material was manipulated beyond recognition, eventually adding electronically generated sounds to her compositions – sounds which had been produced in a sound studio using powerful generators, adding various types of filters and other modes for sound alteration. In the work ‘Faust’ from 1962 she uses both concrete and electronically generated sounds. The electronically created sounds are in the foreground, but there are also manipulated dog barks and human voices audible in the sound palette of the work. ‘Faust’ was originally a commission from the Danish radio as background music for a radio play production of Goethe’s ‘Faust’. Originally conceived as a soundtrack, it still can easily stand alone as a complete work. With ‘Faust’, Else Marie Pade depicts the story by drawing out the human aspect of Faust, in all his frailty. With her profound aural illustration, Pade constructed a work of alluring, spherical, hypnotic and truly disturbing character. In her work with this new kind of music, the music score, a tool that would enable her to map out the structure and musical material, had to be rethought in relation to these new electronic music practices. Here, unlike with traditional acoustic instruments, the sound was artificially generated and manipulated, making it all but impossible to use the traditional written notation system. The score for ‘Faust’ is an excellent example of how new perceptions of sound called for new methods for illustrating music graphically. It is also an important documentation of Pade’s artistic practice, which in addition to its visual aesthetic quality, functioned as a concrete musical tool with which she was able to use to implement her musical intentions. The visual impression of a score can have a great impact on the sonic outcome and this has been a consideration of many composers throughout the ages, even before the widespread familiarity with graphic scores in the 20th century. Music of such abstract nature, as is the case with ‘concrete music’ and ‘electronic music’, encounters problems when it comes to traditional notation. Therefore, the visual representation of the intended sounds is of particular importance in communicating and maintaining the musical ideas. The score for ‘Faust’ visually illustrates both the thought process behind the work and the specific ideas Pade had about what was the intended symbolic meaning of the sound itself. In addition to the axes, different symbols, lines, dots etc, indicating time ratio and what kind of machine it is that generates the sound, the many winding and wavy lines illustrate the so-called oscillation principle – a technique Else Marie Pade had picked up from the German composer Karlheinz Stockhausen. In short, it is based on tones that are very close to each other in the frequency spectrum and therefore highly dissonant, almost colliding and therefore interfering with tones when played simultaneously. These interference tones produce a complex soundscape with a rich texture that is ever-changing. To Pade this oscillating principle represents the human factor in electronic music, and she considers these clashes between sound elements to be analogous to human interaction and altercation. For Pade, the interplay of sonic resistance and dissonance represents the very essence of human relations. Pade’s electronic music beautifully expresses a kind of humanism which one would perhaps perceive as incompatible with these artificial and technologically manipulated sounds. 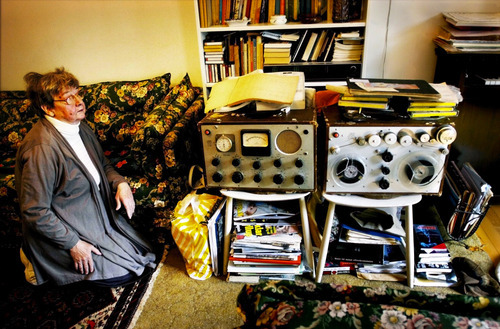 Else Marie Pade’s work 7 Circles was the first purely electronic piece of music composed in Denmark. 7 Circles was created using tone generators and a reel tape recorder, in an age that knew neither the computer nor the sampler. The work is an electronic sound constellation consisting of layers of sine tones, and its inspiration came from a visit to the 1958 World Exhibition in Brussels where she experienced the groundbreaking ‘Philips Pavilion’ designed by Le Corbusier and Iannis Xenakis and was particularly taken by Edgar Vares’s ‘Poème électronique’. “My work 7 Circles was inspired directly by my trip to the World Exhibition in Brussels in 1958 (…) I was sitting in a planetarium and saw their programme, which consisted of various compositions, accompanied by light and movement in the planetarium dome. There was one composition that completely captured me because it represented the stars, how they walk across the sky and their relation to each other. I remember that feeling that I was being lifted into the room, as if I was part of the movement – afterwards I almost felt a little seasick. It all continued to tumble around in my head for quite some time, and when I got back home, I knew that I would write a piece that would be called 7 Circles“. In 2002, Else Marie Pade’s 7 Circles was remixed by five young electronica artists including Bjørn Svin and Thomas Knak. In this way, after being practically forgotten for two generations, Pade was once again hailed for her pioneering work. The release of 7 Circles/5 Remixes was the initiative of Danish composer Hans Sydow and the album was awarded the Danish music critic’s prize Steppeulven for the best idea of the year along with several high profile interviews – a revelation that catapulted Else Marie Pade back into the consciousness of the Danish Music scene, as well as that of the general public. 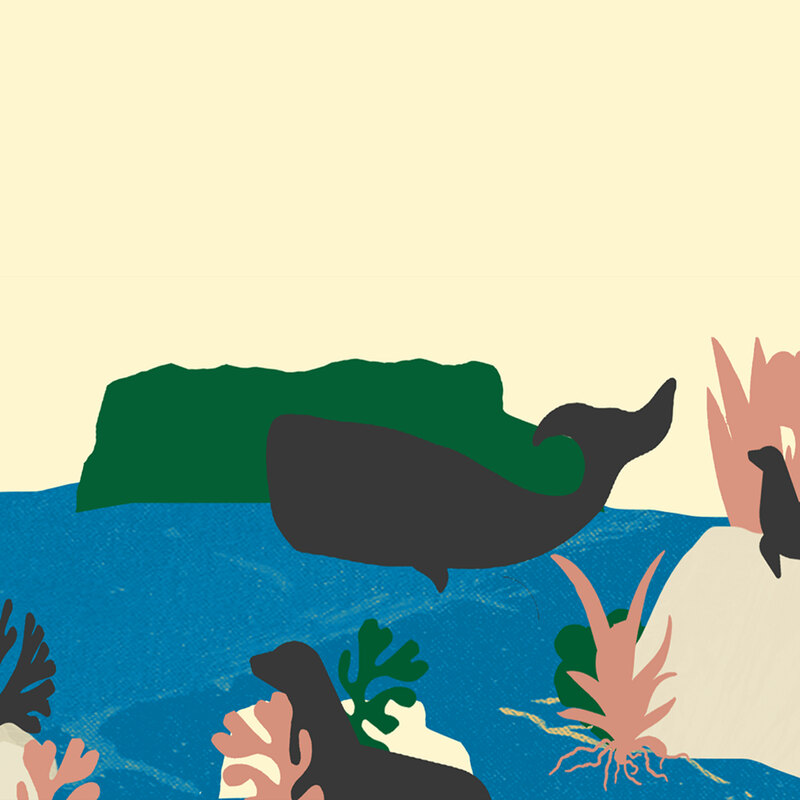 Sofie Tønsberg‘s film was shot during the 2012 Wundergrund Festival in Copenhagen and documents the collaboration between Else Marie Pade and the sound artist Jacob Kirkegaard during the creating of their composition Svævninger. Despite an age difference of 51 years, these two electronic musicians share a remarkably strong passion and similar perception for sound. The film gives insight into the thoughts and discussions that took place between Else Marie Pade and Jacob Kirkegaard in the process of creating the work. Denmark’s Jacob Kirkegaard is considered among the most important sound artists of his generation. His works have been presented worldwide – most recently at MoMA in New York, where he contributed to Soundings– MoMAs first major sound art exhibition. Kirkegaard’s works focus on scientific and aesthetic aspects of sonic perception, by exploring acoustic spaces and phenomena that under normal cirumstances are not detected by the naked ear. Find out more about Jacob Kirkegaard here. 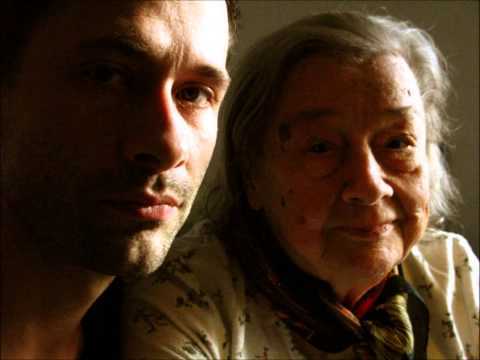 Else Marie Pade and Jacob Kirkegaard – despite their generational difference – speak a similar musical language and are prominent listeners and communicators of sounds that would otherwise remain indiscernible. In 2012, these two pioneers collaborated for the first time, creating a new work Svævninger, which investigates the variations that can be perceived when sound waves collide. Both artists have previously worked on this phenomenon; Jacob Kirkegaard in his work Labyrinthitis (2007) and Else Marie Pade in her work Faust Suite (1962). For their new joint piece Svævninger, they combined some of Pade’s early (and hitherto unreleased) sound experiments with some of Kirkegaard’s recordings from his own ear, thus leading the audience straight into the undiscovered labyrinths of their own hearing. Else Marie Pade’s ‘Symphonie Magnetophonique’ is the first piece of absolute concrete music written in Denmark. It was written in close collaboration with the sound engineer Svend Drehn-Knudsen and the work draws up a sonic image of one day’s soundscape of the city of Copenhagen, sucking the listener into a aural vortex of modern civilisation. 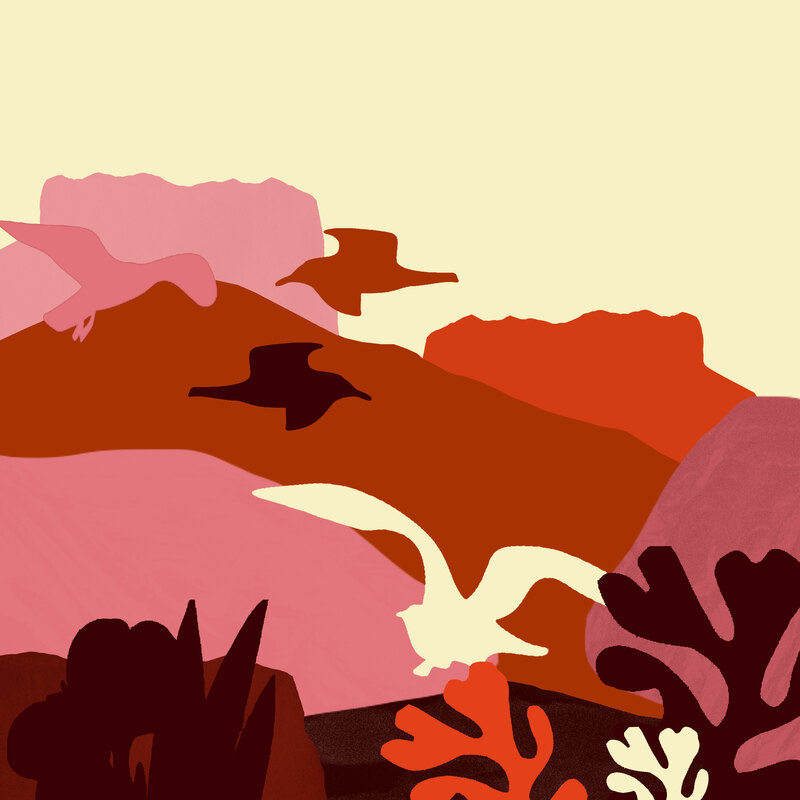 Multiple urban sounds and murmurs are intricately woven into a work that can be described as a minutely organised waltz of urban cacophony with seagulls, dog barks and pacing footsteps setting the beat. Den lille havfrue (The little mermaid) from Hans Christian Andersen, composed 1957-58. Se det i øjnene (Face it) composed 1970. Remixed at DIEM, Århus, 2002. 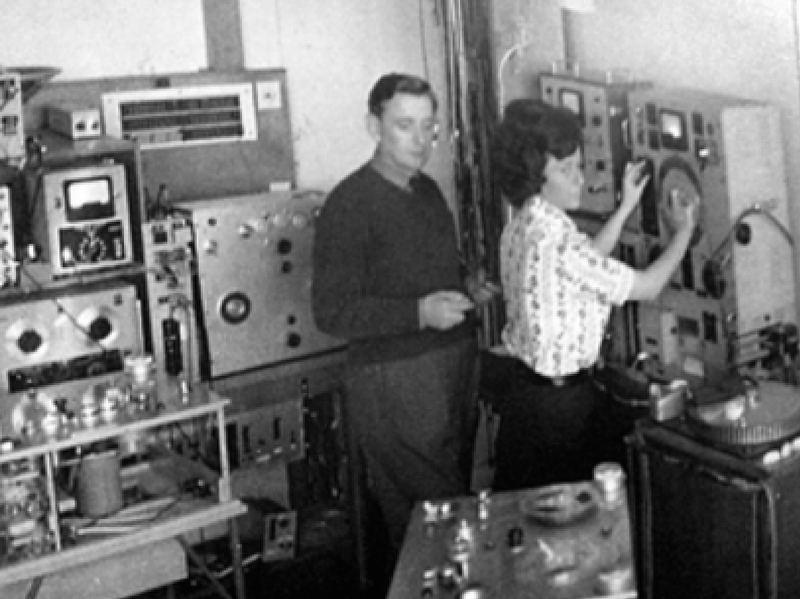 When, one evening in 1952, Else Marie Pade heard Pierre Schaeffer talk about Musique Concrète on the Danish radio programme “Horizons”, she immediately knew that these new theories would be the key to expressing her own “sound universe”. She packed her bags and went straight to Paris in order to meet him. The two of them became close friends. The rest is history. Interview with Pierre Schaeffer conducted by Tim Hodgkinson on April 2nd 1986 for Recommended Records Quarterly magazine, Volume 2, Number 1, 1987. 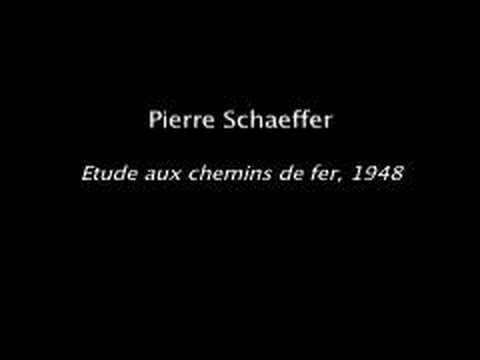 Pierre Schaeffer: born in Nancy, France in 1910. Developed a wide range of interests in poetics, technics and philosophy. Became famous in the late ’40s when, working as a broadcast engineer for the Radio-Television Francaise, he formulated the ideas and techniques of Musique Concrete and founded a studio for tape composition. Collaborated with Pierre Henry on several of the classic compositions in the genre, including Symphonie pour un homme seul and the first Concrete opera, Orphee, staged at Donaueschingen in 1953. In the last two decades he has concentrated on his work as a writer and commentator on the state of western culture. The interview was conducted in French at the house of M. Schaeffer and translated by Tim. PS: Yes. But chance alone doesn’t explain why a non-specialist gets involved in an area he doesn’t know about. In my case there were double circumstances. First of all, I’m not completely unknowledgeable about music, because I come from a family of musicians: my father was a violinist and my mother was a singer. I did study well – theory, piano, cello, etc, so I’m not completely untrained. Secondly, I was an electroacoustic engineer working for the French radio, so I was led to study sound and what’s called ‘high fidelity’ in sound. Thirdly, after the war, in the ’45 to ’48 period, we had driven back the German invasion but we hadn’t driven back the invasion of Austrian music, 12-tone music. We had liberated ourselves politically, but music was still under an occupying foreign power, the music of the Vienna school. So these were the three circumstances that compelled me to experiment in music: I was involved in music; I was working with turntables (then with tape-recorders); I was horrified by modern 12-tone music. I said to myself, ‘Maybe I can find something different… maybe salvation, liberation, is possible.’ Seeing that no-one knew what to do anymore with DoReMi, maybe we had to look outside that… Unfortunately it took me forty years to conclude that nothing is possible outside DoReMi… In other words, I wasted my life. PS: I would answer that this luck is deceptive. First, it doesn’t surprise me that traditional music has experienced a kind of exhaustion in the 20th century – not forgetting that many musicians started to look outside the traditional structures of tonality. 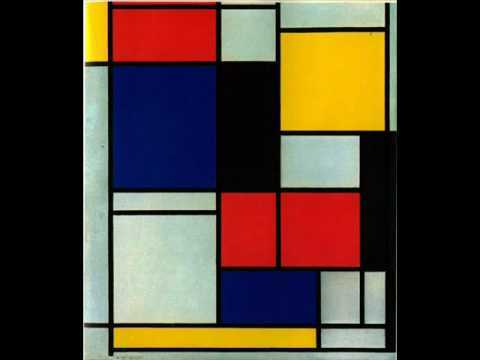 Debussy was looking at 6 note scales, Bartok was exploring mode;tonality seemed to be exhausted.The impressionists, Debussy, Faure, in France, did take a few steps forward. Then, after the impressionists, we have a period of rigour, of barbarity, a period seeking to re-establish something more solid. This is epitomised in the Vienna school. At this point the Vienna school was also inspired by scientific ideas, by a rigour coming from a discipline which wasn’t music but an algebraic equation. So it seems that one of two things can happen in a period of high technology; either .technology itself seems to come to the rescue of art – which is in a state of collapse – (that was my starting point, Musique Concrète with the tape-recorder, now electronic music, etc), or it’s the ideas of technology, ideas from mathematics, ideas with a scientific aura, or real scientific ideas given an unreal relevance to an art which is seeking its discipline – its ordering principles – outside itself instead of within the source of its own inspiration. This coincidence of a music which is debilitated and failing and a glorious, all-conquering science is what really characterises the 20th century condition. What did I try to do, in this context, in 1948? As Boulez said, extremely snidely (he’s a pretentious boy, a kind of musical Stalinist… I’m an anarchist myself), it was a case of ‘bricolage’. (Note: This French noun has no direct equivalent in English, but is close to the adjective ‘makeshift’; and the idea of improvising new uses for things originally meant for something else) I retain this term not as an insult but as something very interesting. After all, how did music originate? Through bricolage, with calabashes, with fibres, as in Africa. (I’m familiar with African instruments). Then people made violin strings out of the intestines of cats. And of course the tempered scale is a compromise and also a bricolage. And this bricolage, which is the development of music, is a process that is shaped by the human, the human ear, and not the machine, the mathematical system. TH: It seems to me that there are several possible attitudes to the machine. There is something which we can trace to a kind of puritan tradition, where the machine represents a kind of purification, or perfection, which we in ourselves cannot achieve, and is therefore an escape from the human. Then there is another point of view which retains a humanist perspective and sometimes a kind of projection of human qualities onto the machine, and which is in any case a more complex and a more doubting relationship… I would place the Futurists, for example, in this second point of view. Looking at the history of Musique Concrete, there sometimes seems to be a symmetry, with sound on one side and system on the other, with Musique Concrete taking the side of sound. Within this duality, would you agree that Musique Concrete embodies a more humanist position? PS: Yes, of course. You mention symmetry, and I would like to take this term as a very good way of looking at this. But what symmetry? I think we are speaking of a symmetry between the sound world and the music world. The sound world is natural — in the sense where this includes sound made by sound-producing instruments — the Rumori generators, Concrete, etc. — the sound of the voice, the sounds of nature, of wind and thunder, and so forth. So there is, within the human ear, as it developed over millions of years, a great capacity for hearing all this sound. Sound is the vocabulary of nature. When we hear the wind, the wind says ‘I’m blowing’. When we hear water, the water says ‘I’m running’… and so forth. Noises have generally been thought of as indistinct, but this is not true. In the 17th century people thought of noises as unpleasant — but noises are as well articulated as the words in a dictionary. Opposing this world of sound is the world of music, the world of musical entities, of what I have called ‘musical objects’. These occur when sounds bear musical value. Take a sound from whatever source, a note on a violin, a scream, a moan, a creaking door, and there is always this symmetry between the sound basis, which is complex and has numerous characteristics which emerge through a process of comparison within our perception. If you hear a door creak and a cat mew, you can start to compare them — perhaps by duration, or by pitch, or by timbre. Thus, whilst we are used to hearing sounds by reference to their instrumental causes, the sound-producing bodies, we are used to hearing musical sounds for their musical value. We give the same value to sounds emanating from quite different sources. So the process of comparing a cat’s mew to a door creak is different from the process of comparing a violin note to a trumpet note, where you might say they have the same pitch and duration but different timbre. This is the symmetry between the world of sound and the world of musical values. TH: What is musical value for you exactly? PS: The best analogy is with language — since we talk of musical languages. People who share the same language, French or Chinese or whatever, have the same vocal cords and emit sounds which are basically the same, as they come from the same throats and lungs. So this is a sound world. But the same sounds have linguistic values and this makes them different. These linguistic values derive from their role within a system. In the same way, musical value is inseparable from the idea of system. But how does this bear on the question of the machine in our contemporary world — which is really a different question from the question of symmetry? We could say that the machine has had two quite different, even antagonistic, impacts on our modern world. There is the romantic, romanesque, illusionist tendency which proposes a biology of the machine, which is rather what the Italians (Futurists) were about; it goes back to the storms and the murmuring forests of romanticism, the pastoral symphony, the representation of nature in music. But of course as machines now constitute nature, music now needs machines to represent this nature; our forests and countrysides _are_ machines… But there is another, quite opposite, tendency, which sees machines as the means not only of producing sound but also of musical values themselves. TH: What then should one want to do with music? Accepting the need for musical values is one thing, but how do you choose? TH: But if you stay outside? PS: Well then you don’t have any music. If you enter, if you want to make music, you must abandon hope. Of what? Of making a new music. PS: Yes, a music which is new because it comes from new instruments, new theories, new languages. So what’s left? Baroque music. Has it struck you that the music which is regarded as the most sublime in western civilization, which is the music of Bach, is called baroque? (Note: In the French language, the term ‘baroque’ has the meaning ‘roughly put together’ — as well as the meaning we have in English of that theatrical, excessive, late Renaissance style.) Bizarre. Even its contemporaries called it baroque. Bach lived in a moment of synthesis, in terms of the instruments, the theory — tempered scale, etc. — and was putting everything together. He was taking from the middle ages, from the new developments in the instruments of his time, from the Italians, and he made a music which was so clearly made up of bits and pieces that it called itself baroque. Simultaneously traditional and new. And this applies today; it will be when our contemporary researchers abandon their ludicrous technologies and systems and ‘new’ musical languages and realize that there’s no way out of traditional music, that we can get down to a baroque music for the 21st century. PS: The answer is that the world doesn’t change. PS: There is no progress. The world changes materially. Science makes advances in technology and understanding. But the world of humanity doesn’t change. Morally, the world is both better and worse than it was. We are worse off than in the middle ages, or the 17th and 18th centuries, in that we have the atomic menace. It’s ridiculous that time and time again we need a radioactive cloud coming out of a nuclear power-station to remind us that atomic energy is extraordinarily dangerous. So this shows the imbecility, the stupidity of mankind. Why should a civilization which so misuses its power have, or deserve, a normal music? PS: That could be wishful thinking. I’ll bring in Levi-Strauss, who has said again and again that it’s only things that change; the structures, the structures of humanity, stay the same – and the uses we make of these things. On this level we are just like the caveman who makes a tool out of a flint, a tool for survival, but also a deadly weapon: we haven’t changed at all. The world has just got more dangerous because the things we use have got more dangerous. TH: Are you pessimistic about the future of this variation – in the sense that there is a cultural imperialism which is destroying the local musics of the world and replacing them by a kind of central music which is driven forward by industrial and political power? PS: I’m very aware of what you’re talking about as I was involved with the radio in Africa in the same period as I was doing Concrete – I was doing both at the same time. I was deeply afraid that these vulnerable musical cultures, – lacking notation, recording, cataloging, and with the approximative nature of their instruments – would be lost. I and my colleagues were beginning to collect African music. At the radio there is a small department run by Mr Toureille, who has very courageously for 17 years systematically sent out expeditions to gather authentic African musics and released them on record. TH: The problem is that the records are bought in Europe and not in Africa. It’s hard to see how you can regenerate the music in its own context. In fact, we can accuse ourselves of appropriating it. There is this ambiguity in that we are in a meta-cultural position with the entire cultural geography and history of the world laid out for our pleasure. Do you think this situation brings about a lack of a sense of the real value of culture and cultural artifacts? Many people listen to ethnic musics from all over the place. Does this leaping about in space and time affect the quality of the listening? PS: Well I don’t think we can answer this question of value ultimately, but we can recognize the fact that civilizations are mortal. In music there are, unfortunately, two principles at work. There’s the principle of barbarity. The fact that western civilization invaded these autochthonous people entwined with their ancient local cultures – this was certainly barbarous, if not entirely heedless. Barbarians always think of themselves as the bringers of civilization. The western barbarity was turntables, the radio, etc. TH: I’d like to turn now to the idea that, scattered all over the world, probably in tiny garrets rather than in expensive state-of-the-art studios, there are people busily cutting up bits of tape, making loops, experimenting with tape-recorders, and I would like to ask you if you have anything you would specially want to say to these people. TH: Is it not enough for a sound-work to have system, for it to become music? PS: The whole problem of the sound-work is distancing oneself from the dramatic. I hear a bird sing, I hear a door creak, I hear the sounds of battle; you start to get away from that. You find a neutral zone. Just as a painter or sculptor moves away from a model, stops representing a horse, or a wounded warrior, and arrives at the abstract. A beautiful sculptural form, as beautiful as an egg, a greenhouse, a star. And if you continue this abstracting movement, you get to the graphics of the forms of letters in written language. And-in music you get to music. There’s thus a gradation between the domain of raw sound, which starts by being imitative, like the representational plastic arts, and the domain of language. Between, there’s a zone of gradation which is the area of ‘abstract’ in the plastic arts, and which is neither language nor model, but a play of forms and materials. There are many people working with sound. It’s often boring, but not necessarily ugly. It contains dynamic and kinaesthetic impressions. But it’s not music. PS: This is a difficult question. If you had the complete answer you’d be a prophet. The traditional testimony is that a musical schema lent itself to being expressed in sound in more than one way. An example is that Bach sometimes composed without specifying the instruments: he wasn’t interested in the sound of his music. That’s music, a schema capable of several realisations in sound. The moment at which music reveals its true nature is contained in the ancient exercise of the theme with variations. The complete mystery of music is explained right there. Thus a second. a third a fourth variation were possible, which all kept the single idea of the theme. This is the evidence that with one musical idea you can have different realisations. PS: My 18-year-old daughter listens a lot downstairs, so I hear what comes under her door. It’s enough. TH: I was thinking that rock music is also a music that’s essentially engaged with technologies, in the sense that it grew up with the recording technology and the means of mass-producing discs. PS: What strikes me is the violence of the sound, a violence which seems to be designed to reach not only the ear but also the gut. In a certain way this seems to function as a drug. Real music is a sublime drug, but you can’t really call it a drug because it doesn’t brutalise, it elevates. These two characteristics of rock, the violence of the sound and the drug-function, revolve on the basis of a musical formula which is impoverished. This doesn’t interest me. I feel rather that it indicates a nostalgia amongst today’s young people, a desire to revert to savagery, to recover the primitive. At this time, who can blame them? The primitive is also a source of life. But the musical means seem sad and rather morbid. It’s a dishonest primitive because it’s reached through technological sophistication. It’s a cheat. TH: But do you recognise in it the techniques of Concrete, for example in the idea of production, as the term is used in the recording industry, this conceptualisation of the difference between sound source and process, between source and manipulation – where the producer can regard the recorded sound as simply raw material for a process of radical transformation, but of course, more often than not, with the aim of making a successful commodity? Would you allow any kind of humanist potential where the empiricism, the bricolage of rock, is not totally subordinated to commerce? PS: Well we’ve already mentioned pessimism, and I must say that I do judge these times to be bad times. We seem to be afflicted by ideologies – often, entirely incompatible ones. Thus, the ideology of scientific rigour and at the same time the ideology of chance; ideologies of power, technology, improvisation, facility -technology with which to replace inspiration. If I compare that to jazz for example in its historically fecund period, the extraordinary fruition of American music at the point where the European DoReMi was suddenly seized upon by the blacks for the production of expressive forms… this was sublime. Now if you think that, decades later, this bloated, avaricious and barbarous culture, brutalised by money and machines and advertising, is still living off this precious vein… well, you have to admit that some periods are simply vile, disgusting, and that this is one of them. The only hope is that our civilization will collapse at a certain point, as always happens in history. Then, out of barbarity, a renaissance. TH: Some of what you were saying about rock music reminded me of Adorno’s essay on jazz, the regressive, nostalgic function, and so forth. Yet you find jazz, in its great period, sublime. TH: I have the impression that in the ’40s and ’50s you were optimistic about the outcomes of your musical project. Was there a particular moment when you underwent a general change in your relationship to this project? PS: I must say honestly that this is the most important question you have asked me. I fought like a demon throughout all the years of discovery and exploration in Musique Concrète; I fought against electronic music, which was another approach, a systemic approach, when I preferred an experimental approach actually working directly, empirically with sound. But at the same time, as I defended the music I was working on, I was personally horrified at what I was doing. I felt extremely guilty. As my father, the violinist, used to say, indulgently, What are you up to, my little chap? When are you going to make music? And I used to say – I’m doing what I can, but I can’t do that. I was always deeply unhappy at what I was doing. I was happy at overcoming great difficulties – my first difficulties with the turntables when I was working on ‘Symphonie pour un homme seul’:: – my first difficulties with the tape-recorders when I was doing ‘Etude aux objets’ – that was good work, I did what I set out to do – my work on the ‘Solfege’ – it’s not that I disown everything I did – it was a lot of hard work. But each time I was to experience the disappointment of not arriving at music. I couldn’t get to music – what I call music. I think of myself as an explorer struggling to find a way through in the far north, but I wasn’t finding a way through. TH: So it’s in that context that we should understand your relatively small output as a composer after those early years? PS: I was very well received. I had no social problems. These successes added to my burden of doubt. I’m the opposite of the persecuted musician. In fact I don’t consider myself a real musician. I’m in the dictionary as a musician. It makes me laugh. A good researcher is what I am. TH: Did your time in Africa have any particular relevance to changes in your attitudes to music? PS: No. I had always been very interested in music from Asia, Africa, America. I considered that music should be tracked down over the whole surface of the planet. TH: I think we’ve said enough. PS: Yes, I think we’ve said a lot. Interview re-produced with the permission of Tim Hodgkinson. BBC 1979 documentary The New Sound of Music. Karlheinz Stockhgausen was a major influence on Pade’s work and they became good friends and colleagues. Stockhausen was a great supporter of Pade’s work and frequently used her composition ‘A Glass Bead Game’ as an example of electronic serialism in his lectures. 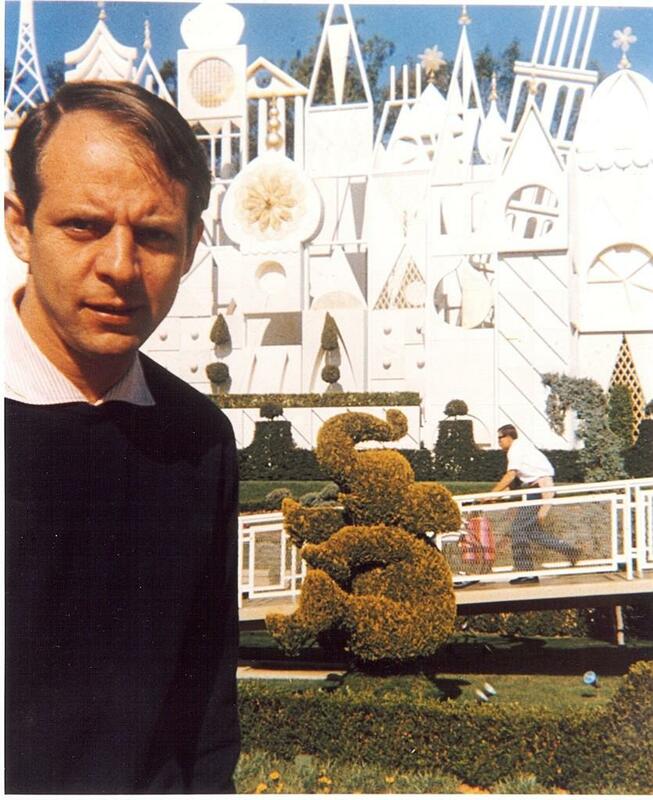 Stockhausen is a towering figure in 20th century music history. A highly controversial man, his pioneering compositional experiments and principles had a broad reaching impact on the development of electronic music. His influences were not limited to the electronic avant-garde or contemporary music field, but also extended to a great number of pop bands and artists, ranging from Pink Floyd to the Beatles to Björk. On close inspection, he is to be found among the 70 icons of 20th century history on the cover of Sergeant Pepper’s Lonely Hearts Club Band. 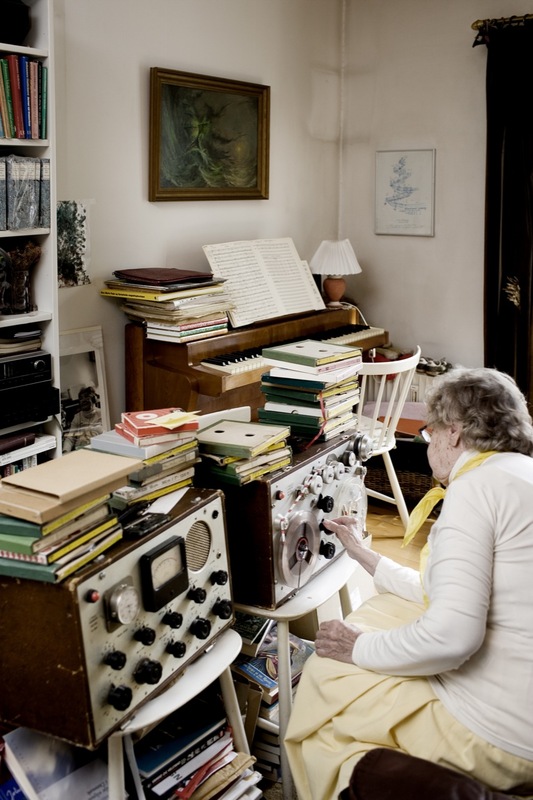 Whether people were aware of her work or not, Else Marie Pade paved the way for electronic music in the Nordic countries. Though she gained much recognition abroad, back home in Denmark she was living in total obscurity as a composer until in 2001, when she was rediscovered by the younger generation of music journalists, electronic composers and DJs. Rediscovering her works provided a link to the past, setting the history of Nordic electronic music straight. This playlist illustrates just how much has changed since Pade was taking the first steps. She was the first woman working with the electronic medium in the Nordic countries, but today we have a thriving electronic music scene in the Nordic countries, where women make up a substantial part of the most interesting composers. Interestingly enough, today the electronic music scene has a substantially more harmonized gender balance than many other genres within contemporary composition.